For those readers and list makers, nothing is more exciting than January! The time to make an amazing list of books to read for the year! Where will our reading lives take us? What adventures and emotions will we experience through the books we read? Always, there are endless possibilities. So many books. Limited time. New books to distract us from other books. A must read list ensures not all are forgotten! To read more about the challenge and add your list, read here. Here are the 30 titles I am going to try and read over this year. As always these titles will represent only a portion of my reading. My goal? To read most of these. I use this list like a road map of where to turn next when I come to a pause in my reading choices. It is always waiting to guide me. But it also waits patiently when I am distracted by new books. Often, I am. Making a list like this – a To Read list – also allows us to reflect on the reading that we want to do. I know I want to emphasize middle grade novels. I didn’t read as much as I usually do in 2018 so my list has more titles that are published in 2018 or earlier (19 titles) and fewer 2019 releases (11 titles). In January, I had 30 titles on my #MustReadin2018 list and a plan: read at least 20 books on the list. Permission to read most of the titles makes for a more enjoyable year of reading. I still have unread titles on my list. Some I likely will not read and some just haven’t been read yet. The year isn’t over – perhaps I will be updating this post in the next few days! Making a list like this is about being enthused about a year of reading ahead. It is also about building community. 24 other bloggers joined me in making #MustReadin2018 lists of their own. Many people remained connected all year, posting (purely optional always) updates. Others only occasionally glanced at their lists. It doesn’t matter. It’s all about being excited about an ever growing and changing book list. And sometimes, just making the list signifies a commitment to being a reader even if you don’t read a single title from your list! Other reading happens. This year, I finished 23 out of the 30 titles. I am very pleased with this as I feel like my reading “volume” has slipped a lot this year. I am working hard to have work life balance and while reading is definitely in the “life” not “work” category, other things have pulled me away from being constantly lost in a book. Like dance classes. My family. The garden. 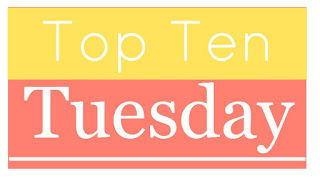 I can read while folding laundry but don’t think I will ever figure out how to read and still tap dance!I have posted updates all year so will include just a few words about the last books on this list that I finished. Our last update was in September. I finished these four titles since that date. 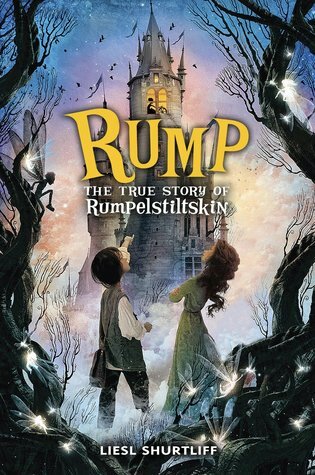 I was so very pleasantly surprised that I was able to fall into this story so fully and be transported to the imaginative fairy tale world that Shurtliff can build so wonderfully. I still love Rump the best, but this title is a close second. Can’t wait to see where Liesl Shurtliff goes next! I so loved Ghost, the first title in the Track series. Through first Patina and now Sunny, we have been able to read about the other characters in depth. It was hard to sit still while reading this book (now I understand why the audio edition is so highly recommended). The reader needs to bounce, tap, shimmy and shake while reading. Sunny is a must meet character. Whoa. This book has so much going on beyond a prison break in a small town. It tackles a myriad of themes: friendship, systemic racism, small town dynamics, growing up. It is told through a collection of pieces meant for a time capsule: news articles, journal entries, text messages, transcribed recordings and some pretty incredible poetry (with hat tips to some sensational writers like Jacqueline Woodson, Nikki Grimes and Lin Manuel-Miranda), One main character has a brother in the prison, one has a family member soon to be named as a suspect and one has a father who is the superintendent of the town’s maximum security prison. Highly recommended. Such a read. Walk through Vincent and Theo Van Gogh’s lives as though walking through a museum. Stop and enjoy a scene from their childhood. Marvel at their supportive connections. Shake your head at their many intense quarrels. Peek at their relationships – often unrequited, hidden or secretive and never ending in happiness. watch as Vincent settles into the life as artist. It is far from easy. But each step is fascinating. An emotional, beautifully written, well-researched story of the lives of Vincent and his brother, Theo Van Gogh. 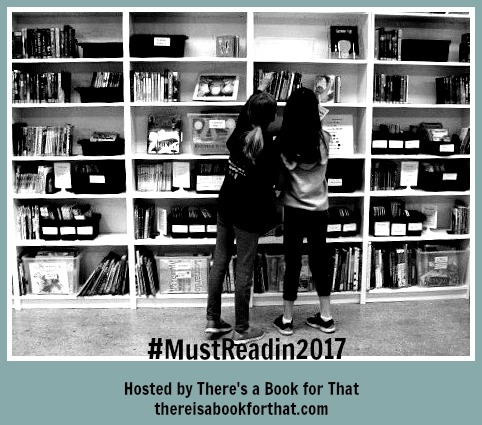 Want to know more about #MustReadin2018? Read here This post also includes links to all of the bloggers who wrote Must Read in 2018 lists. Thinking about joining us for 2019? Please do! Make a list and read some, none or all of the titles on it. Reading is amazing but reading plans are pretty wonderful too! Just reading all of the lists is a great reason to pour a big cup of coffee and do some book dreaming! I am always in awe of the creative ways people plan and think about their reading lives. We will be sharing lists beginning January 1st 2019! Please join in using the twitter hashtag #mustreadin2019 or by leaving me a comment on this blog (when the post is up) and I will add your list. I haven’t posted for 3 weeks so have many reading photos to share! Narrowed it to 3. Here is a keen little reader who has discovered Robert Munsch books for himself as an independent reader! He couldn’t stop reading all day! Ah the joy of buddy reading! #classroombookaday titles have included themes of stories, characters creatively solving problems and interacting with monsters. We have been diving into the Story Workshop experience on Tuesday afternoons creating stories with loose parts and natural objects and then drawing, documenting and writing about these stories. 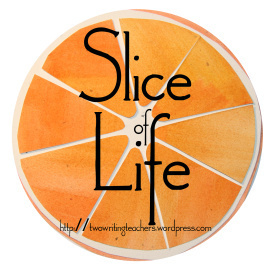 Often stories are also shared orally between students. Want to know more about Story Workshop? Look up Opal School in Portland, Oregon. In the Art and Discovery studio with Maggie, we have begun to explore and create imaginative creatures that might live in the garden. Wow. Wow and more wow. Such an incredible story and that cover! A fantastic biography of a wonderfully creative individual and how she perceived the world. So I read this and liked it. But I knew that kid testing was going to be the true measure. My students ADORED this one. 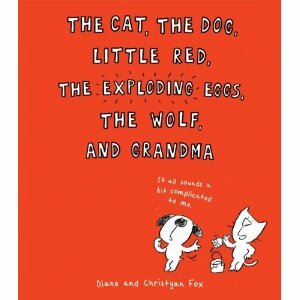 It’s a delightful read aloud experience and students have been continuously picking it up to read on their own. Their only complaint? Where are the rest of the titles? These children are used to a full shelf of Elephant and Piggie and can’t fathom waiting and waiting as the next titles in this series are published! Oh what a delightful little title that teaches the love of nature and the cycles of life. Follow along as old Mrs. Badger takes a weekly journey up to the top of Sugarloaf Peak.The illustrations! Very adorable. Sterling sends himself out to a family’s home as part of a new cutlery shipment and tries to be the best fork ever! Of course, his fork like abilities are limited. But his dog nature is a lot more valued than he ever thought possible. This is the BEST book for classroom teachers teaching about growth mindset! I am using this title to support our understanding of the brain as part of the Mind Up curriculum. Merci and her older brother are scholarship students at a private school in Florida. Her busy family life full of hard work, shared family responsibilities and grandparents, aunts and annoying younger cousins feels dramatically different than the lives her classmates seem to lead. Merci struggles to understand the changes in her beloved Lolo as he begins to act more and more strangely and seems to forget things all the time. 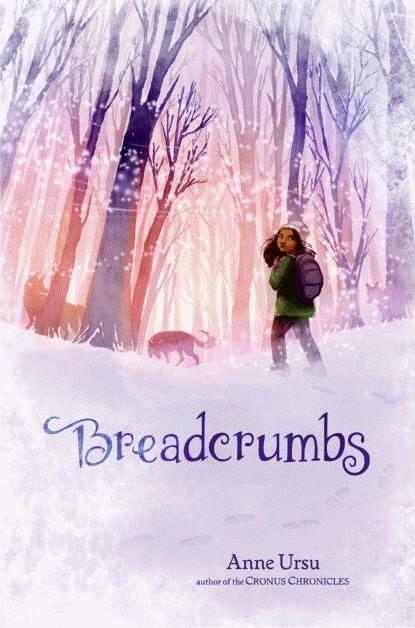 A powerful middle grade novel about growing up, family and figuring out it all out. This novel is really about what it says on the cover – hope and resistance. Based on the author’s own life, this is the story of a young Indigenous woman growing up in the 70s and 80s in British Columbia. I learned a lot. In January, I had 30 titles on my #MustReadin2016 list and the best of reading intentions. Learning from other years, I also had a healthy realistic attitude. I knew that life and distractions would get in the way of reading some of these books. Making a list like this is about being enthused about a year of reading ahead. It is also about building community. 28 other bloggers joined me in making #MustReadin2016 lists of their own. Many people remained connected all year, posting (purely optional always) updates. Of course, in reading other lists and other reading philosophies, our own lists grew. Not a bad problem to have! My plan was to try and read at least 20, maybe even 25 titles on this list and be proud to have read most of a list I remain excited about. And . . . I did it! 25 books read! And more importantly, enjoyed! I have posted updates all year so will include just a few words about the last books on this list that I finished. Every time I talk about this book I wonder the same thing: How can a story about a robot be so tender? Peter Brown includes frequent illustrations which only helps to engage more readers. I want my own copy to include in my class collection. If I teach a younger grade in the future, I would read this aloud in a heart beat. I was thrilled to see this in January’s Scholastic flyer because as soon as I read this book I knew it HAD to go into my collection. A must have in any middle grade classroom. 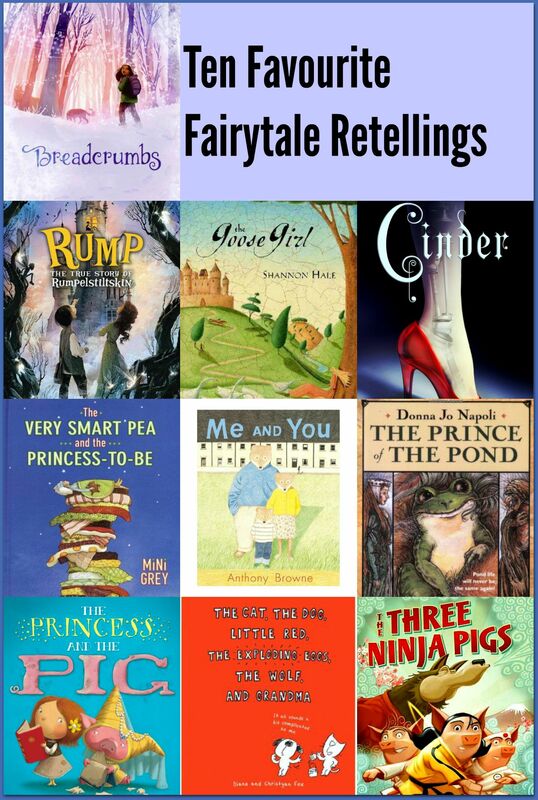 I love spending time in Liesl Shurtliff‘s fairy tale world! Was excited to finally read Red’s story. I just keep getting more attached to these characters! Tupelo Landing seems like a great place to be – lots of drama and mystery but also good friends, tasty and creative diner food and lots to laugh about. Oh, the drama, the mystery, the magic. This is a book that truly does pull you in which considering the subject matter, becomes quite creepy. I read the final pages in a public place just to feel safer and connected to reality. As I did last year, I want to highlight some favourite characters I met during this year of reading. But first to honour some characters I was thrilled to meet again in sequels: Blue and Gansey in The Raven King by Maggie Stiefvater, Ryan Dean West in Standoff by Andrew Smith, Mo and Dale from The Odds of Getting Even by Sheila Turnage and Red from Red: The true story of Red Riding Hood by Liesl Shurtliff. If you haven’t read the following titles, I highly recommend each of them so that you can meet . . .
Perry T. Cook from All Rise for the Honorable Perry T Cook by Leslie Connor. Perry is a noble guy. His quest to learn about himself and to uncover the stories of the people in his “family” is not to be missed. Timothy from House Arrest by K.A. Holt is one of the most vulnerable, honest and brave characters I have ever read. Every character in Salt to the Sea by Ruta Sepetys. This book has not let me go. Want to know more about #MustReadin2016? Read here This post also includes links to all of the bloggers who wrote Must Read in 2016 lists. Thinking about joining us for 2017? Please do! Make a list and read some, none or all of the titles on it. Reading is amazing but reading plans are pretty wonderful too! Just reading all of the lists is a great reason to pour a big cup of coffee and do some book dreaming! We will be sharing lists beginning January 5th 2017! Please join in using the twitter hashtag #mustreadin2017 or by leaving me a comment on this blog and I will add your list. Happy reading! Happy planning. Happy celebrating. 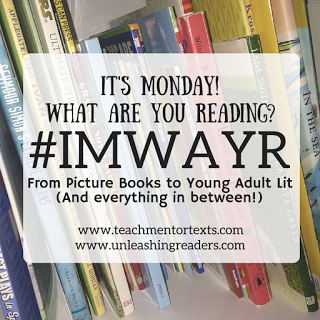 I decided to focus on books I have read and loved: 5 of my favourite picture books and 5 of my favourite MG/YA novels. I love fairytales and stories with nuances of fairytale elements. But, I am very particular. It is a pleasure to share what I consider to be some of the very best in this list. Hilarious. Kind of like having a backseat driver “helping” tell a story. Annoying for the narrator. Amusing for the readers. Little Red Riding Hood like you have never before heard it. This lovely little read manages to link to many classic fairy tales while telling a great original story and poking fun at just about everything! 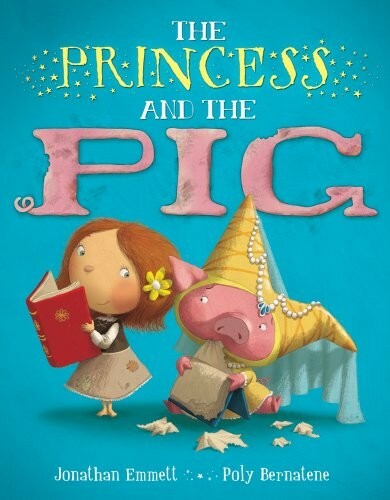 A pig and a princess switch places and the happy ending is not what you might predict. 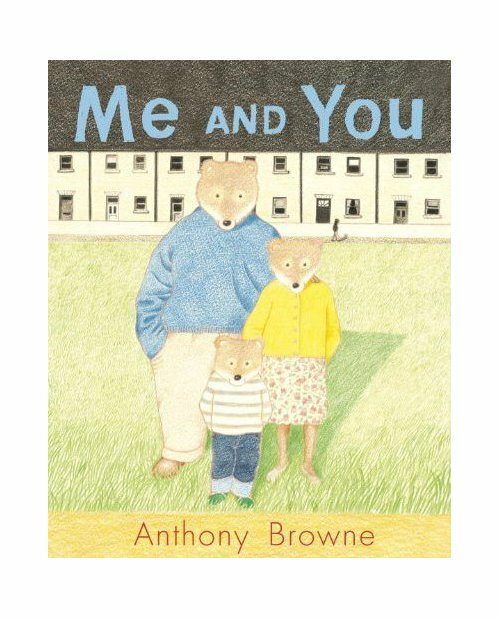 Browne tells simultaneous stories, letting us into the world of Goldilocks while at the same time we revisit the familiar story about the bears. On the left, sepia images of the little girl, out on an errand with Mom and then suddenly, lost. Her story is wordless, told just through the images. On the right, we follow little bear and his Mummy and Daddy as they head out for a walk and then return home to find a stranger in their home. A version of the Goldilocks story that we are very familiar with. This story blurs the absolutes of fairy tale right and wrong and introduces a lovely element of empathy. 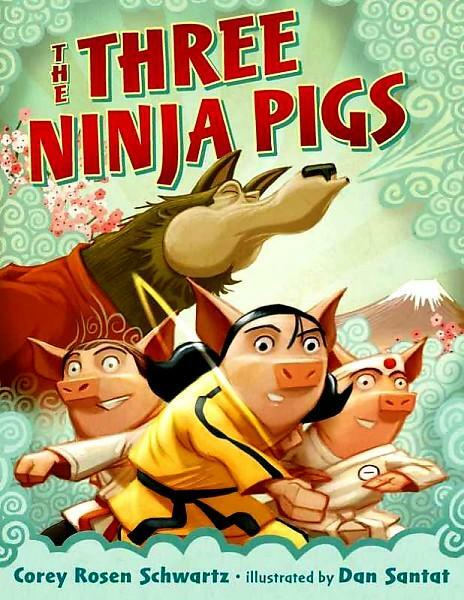 Certainly not the Three Little Pigs story we thought we knew! A fan of pig power? Girl power? Stories where the bullies don’t win? This book delivers! Kiya! 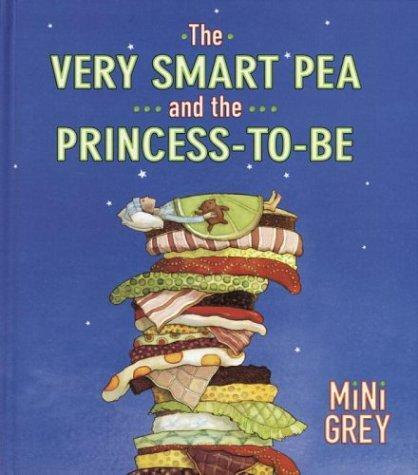 This book is told from the perspective of the pea! A pea, who plays quite an active role in the outcome of this tale . . . Such an interesting twist on the fairytale we know. Loved reading this aloud to my class. Why is this book so special? The children loved the whole idea that this was the “back story” of a well known tale. They felt they were in on some secrets! And what characters! We were rooting for Rump. We loved Red and the Trolls and Nothing, the donkey! We all agreed that the King and the Miller were terrible. The pixies fascinated us. Children begged and pleaded for me to read this book at every possible free minute of out day. 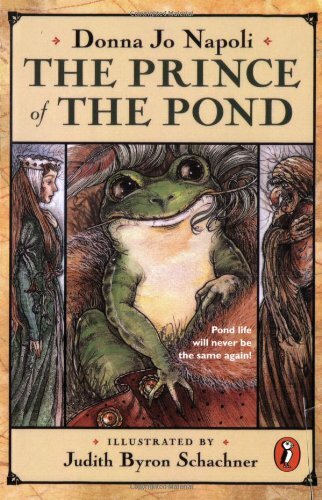 The story of the Frog Prince but told from the perspective of the pond and the frogs. The prince is now a frog and must adjust to pond life and to talking like a frog. It is more difficult than it seems. Certain sounds aren’t possible thus, The Frog Prince is De Fawg Pin. Learn a lot about frogs. And their life cycle. Meet Jade, Pin’s mate. Despise the hag. Root for the froglets! Read this aloud to a group of children and prepare for spit out your milk laughter. Chortles. Giggles. Guffawing. The first in a trilogy. Inspired by the classic story The Snow Queen with all kinds of modern everything. Yet magical fantasy that feels utterly timeless. Read this to my children who loved the mix between fairy tale and real life and all of the references to stories and books they knew. Beautiful as a read aloud – the words just come off the page, swirl around and we are immersed in the book. 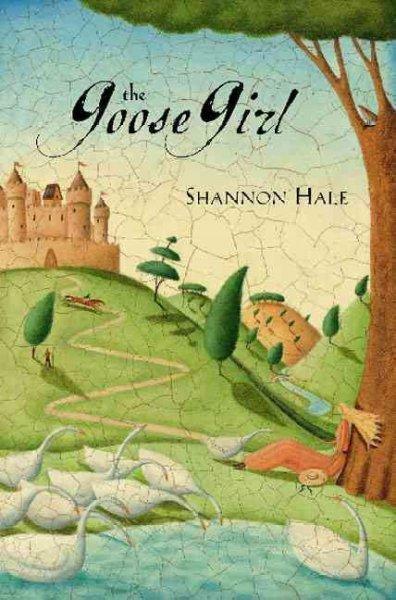 I became quickly hooked on all things Shannon Hale after reading this book and went on to read the complete Books of Bayern series. Fast paced. Lots of magic. Fantastic characters. The perfect book to get lost in. Honestly, I was surprised by how addictive this story was for me. I thought it would be a light read but I was drawn in to the drama and intrigue despite suspecting some of the secrets unveiled late in the novel quite early on. Futuristic, fantasy/sci-fi with fairy tale elements and high drama. 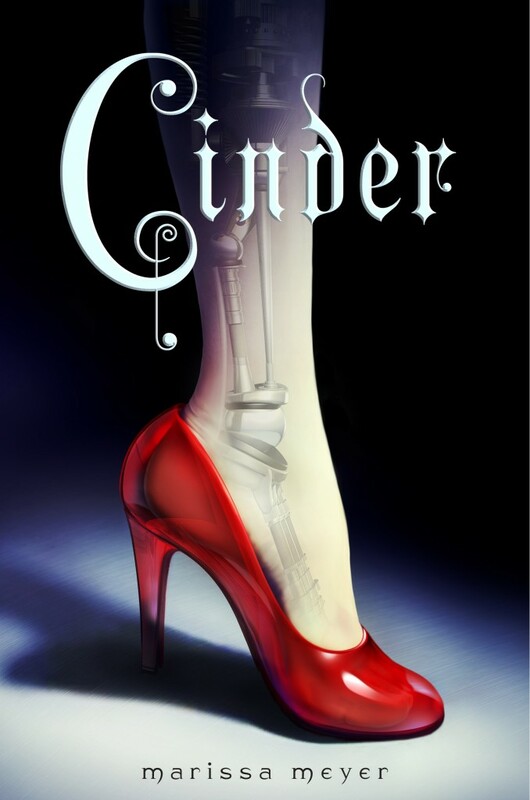 What are your favourite fairytale retellings?